The coverage you need, to always be prepared. NC insurance companies are a dime a dozen. 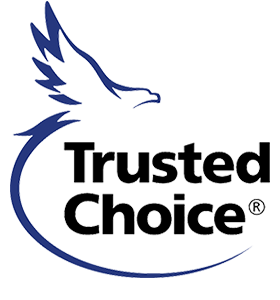 We are a local family owned and operated NC independent insurance agency with the customer in mind and we care about your business. Serving the Triangle area and NC since 2003 and continuing to grow. We have relationships with multiple NC insurance companies allowing us to shop for you to find the lowest insurance premiums available in NC. Whether its NC auto insurance, NC dui car insurance, NC dwi car insurance, NC property insurance, NC commercial auto insurance, NC motorcycle insurance, NC life insurance, NC health insurance or NC medicare supplement insurance quotes that you are looking for, we have you covered. We can save you time and money on all your NC insurance policies. At Carolina Capital Insurance Group we know you have hundreds of options and NC insurance agencies to choose from. We want to do whatever we can to earn your business. Not only by providing some of the most competitive NC insurance rates in town, but by being here for you day and night, seven days a week! Providing personal touch as well as online customer service. We service all of the Triangle and surrounding areas including but not limited to, Raleigh NC, Charlotte NC, Wilmington NC, Cary NC, Greensboro NC, Asheville NC, Durham NC, Greenville NC, Fayetteville NC, Wake Forest NC, Clayton NC, Smithfield NC and all other NC cities! We are a one stop shop for all of your insurance needs. Pick up the phone and give us a call! We are here to help! We are your neighborhood NC insurance company. Great Rates. Great Coverage. Great Service.